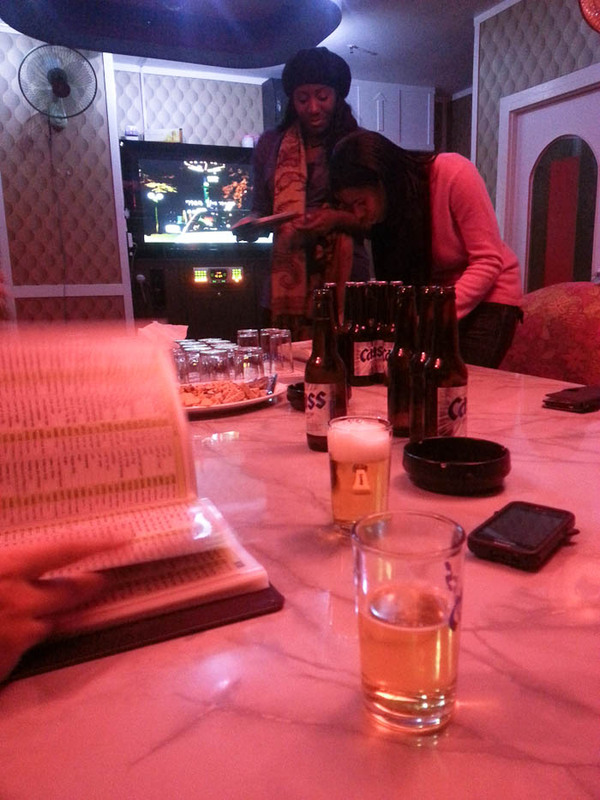 Koreans love their karaoke. Big time. A noraebang (노래방), which translates to singing room, can be found anywhere in Korea and are popular with both younger and older generations of Koreans (and usually foreigners, too). Whether you’re in a big city or small town, you are likely to find one on nearly every block. They even have them on buses and trains! More often than not, plenty of soju is involved and it is often looked at as a bonding experience among co-workers. So, as an English teacher in Korea, the noraebang experience is unavoidable. 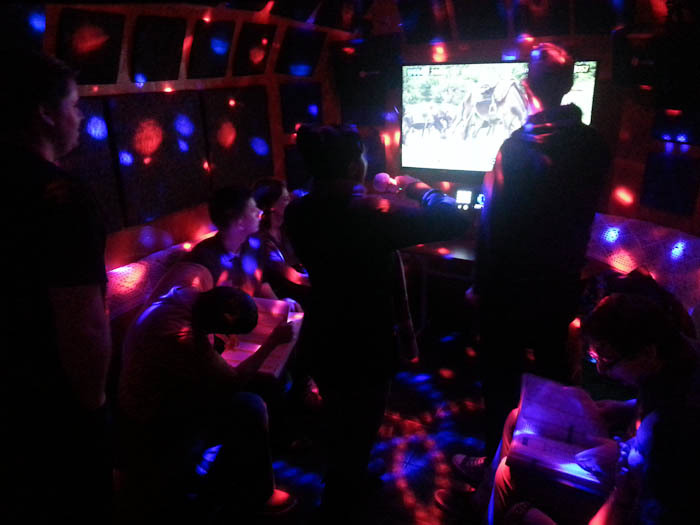 Unlike western style karaoke where you usually sing in front of a crowd of strangers in a bar, you get your very own private room complete with a disco ball, strobe lights and a giant remote to enter song numbers which are picked from a giant song book. Typically, you pay at the front desk for a certain amount of time, order snacks and drinks, and then are lead to a private room. I am not particularly fond of singing in front of groups of people, but I’ve learned to deal with the fact that once you step foot inside of a noraebang, you probably won’t get out without singing. I have yet to visit a noraebang with a large group of Koreans, however I just found out I will have that chance this weekend. I am going on an overnight trip with all of the staff members at my school (only one of which speaks English) and was told I better have a song prepared. Eeek! If I don’t, I hear they will just pick one at random for me…I better start practicing! The first noraebang I stepped foot in during EPIK orientation with fellow English teachers during my first week in Korea. I got away with not singing for the first few times. Luckily I was with a group of foreigners who were very excited about hogging the mic. Noraebangs seem to be open at all hours, day and night. They are often the last stage of a long night full of eating and drinking. 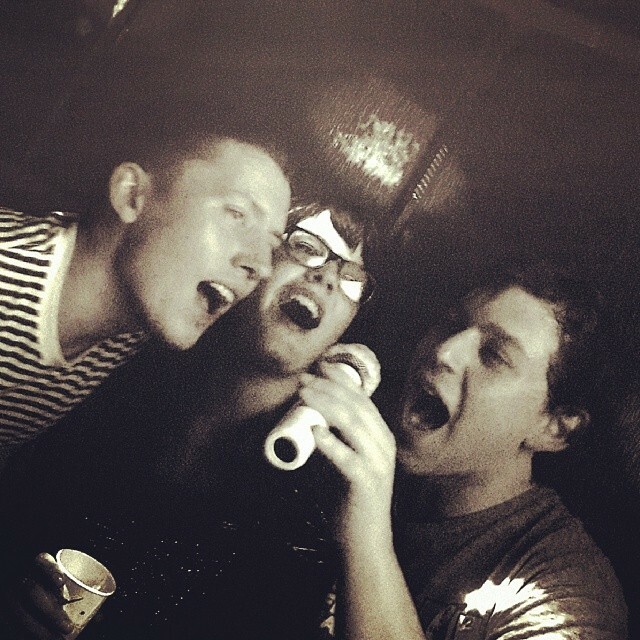 I was finally convinced on my 30th birthday (it may have been the soju) to sing with a group.